Japanese whisky has been popular in Asia for years and is now gaining credibility around the world. The whisky is similar to Scotch – local distillers even use imported Scottish barely to produce it. 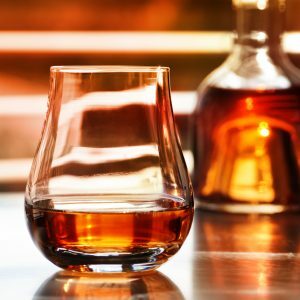 There are differences however, “Some Japanese distilleries are the highest above sea level in the world, this allows for natural low-pressure distillation, which gives a wider range of aromas, and a thinner, lighter texture.” says Makiyo Masa, the founder and director of Dekanta, a Tokyo-based online retailer of Japanese whisky. Japanese distilleries also use different-shaped stills to produce malts with distinct characteristics, Masa says. Whisky was first introduced to Japan by Masataka Taketsuru, who studied organic chemistry in Scotland in 1918 where he fell in love with the spirit. He then returned to Japan to start the country’s first whisky distillery.